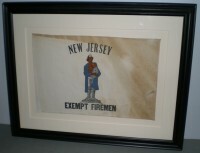 An exceedingly rare, elaborately decorated patriotic textile of The Declaration of Independence. Listed in “Threads of History” Pg. 57 plate 23. 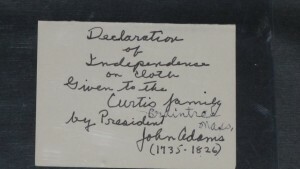 Circa 1819 Early printing of The Declaration of Independence with the text with signatures filling the center oval of the piece. Surrounded by oval medallions of the Thirteen State Seals. Decorated with twigs, eagles, flags & trumpets. George Washington, Thomas Jefferson & John Adams are at the top. Borders have scenes of Revolutionary war in corners. 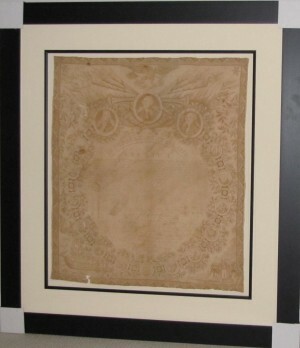 Circa 1819 The first rubbing of the original Declaration was done in 1819. 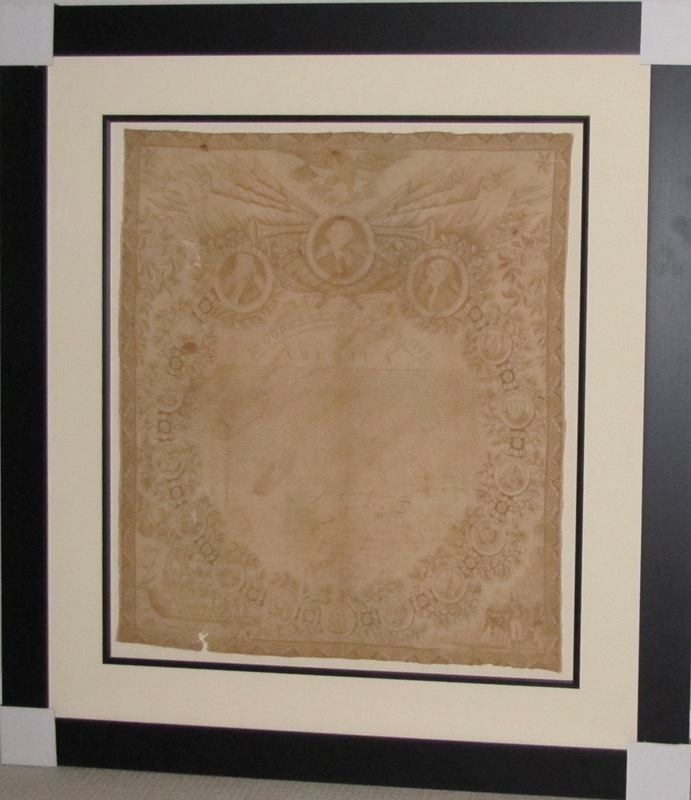 This Declaration was made from the 1819 rubbing. 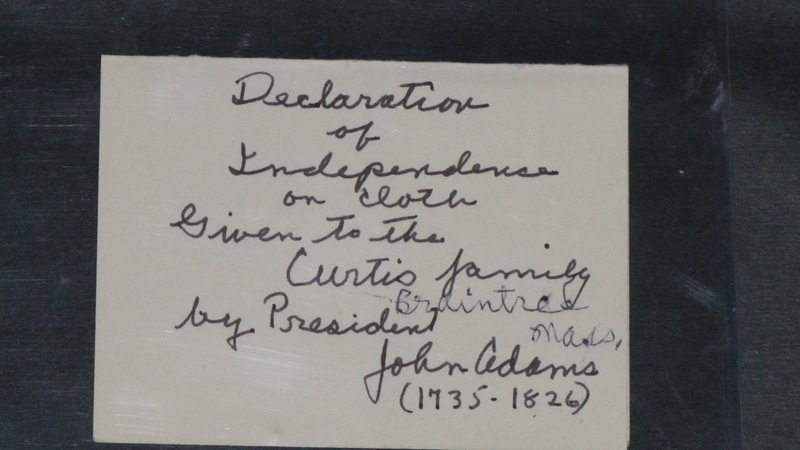 There is a old note which was attached to the piece when we purchased it that states President John Adams gave it to The Curtis Family. John Adams was President from 1797 to 1801 Thomas Jefferson was President from 1801 to1809 Only two other known examples are at The Cooper-Hewitt and The Smithsonian Institution. 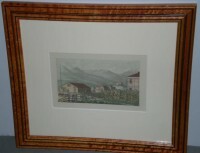 Each framed item has archival framing with UV acrylic protection. 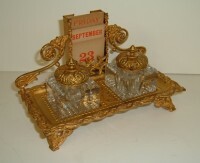 Please email for price and shipping cost, Please refer to item number. Each item comes with a Certificate of Authenticity.